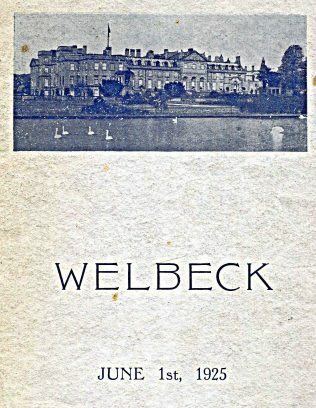 This booklet reveals what must have been a very exciting event for many local people which took place at Welbeck Abbey, Nottinghamshire. 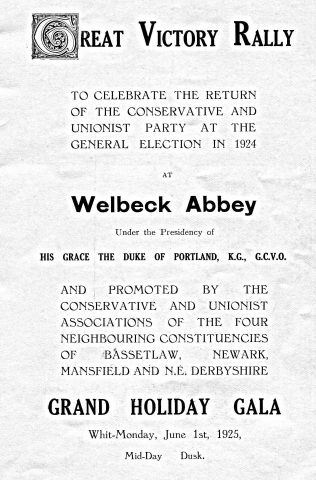 While it was the winning of the General Election that had instigated this ‘Grand Holiday Gala’ it gave the opportunity for people from far and wide to participate in, or just to enjoy entertainment from mid day until dusk. The planning of the day involved committees, with people from Bassetlaw, Newark, Mansfield and N.E Derbyshire. 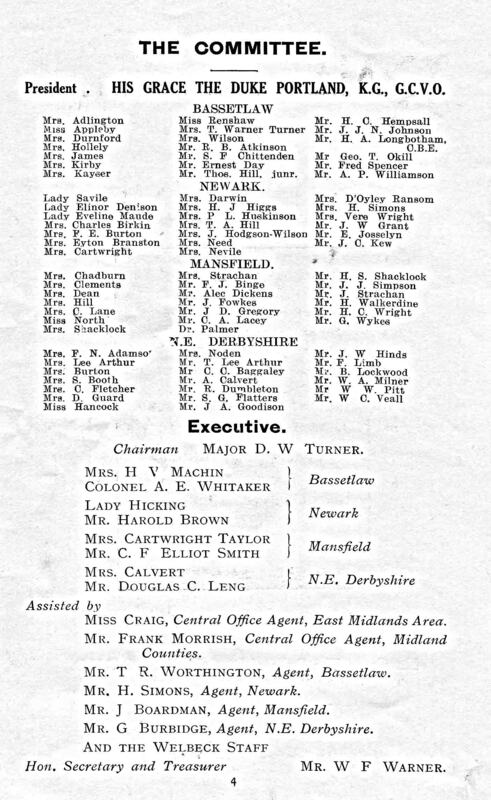 The executive committee included Mrs Cartwright Taylor, Mr C F Elliot Smith and Mr J Boardman representing Mansfield. 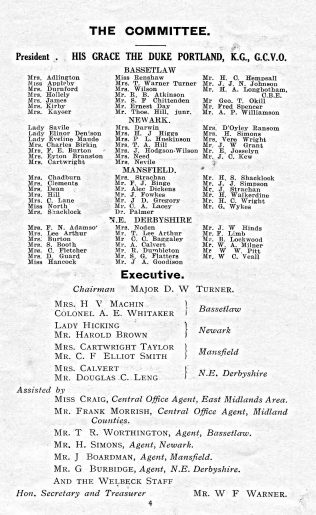 On the day itself a Rally at the Cricket Pavilion took place at 5.30pm, where His Grace the Duke of Portland was Chairman and an Address was given by The Prime Minister the Right Hon. 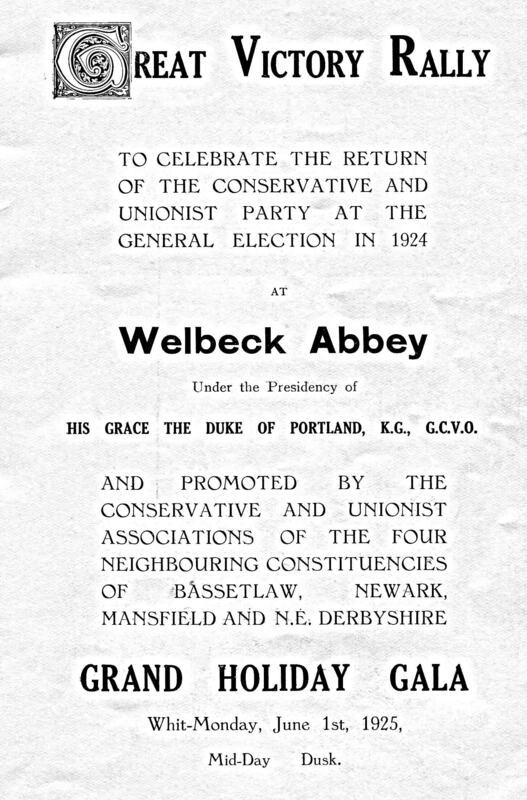 Stanley Baldwin P.C., M.P. Visitors could enter the Underground Rooms from the Duchess’ Garden on the West Front. Around the Welbeck estate/ gardens there were games of Clock Golf, Ladder Golf, Bowls etc. 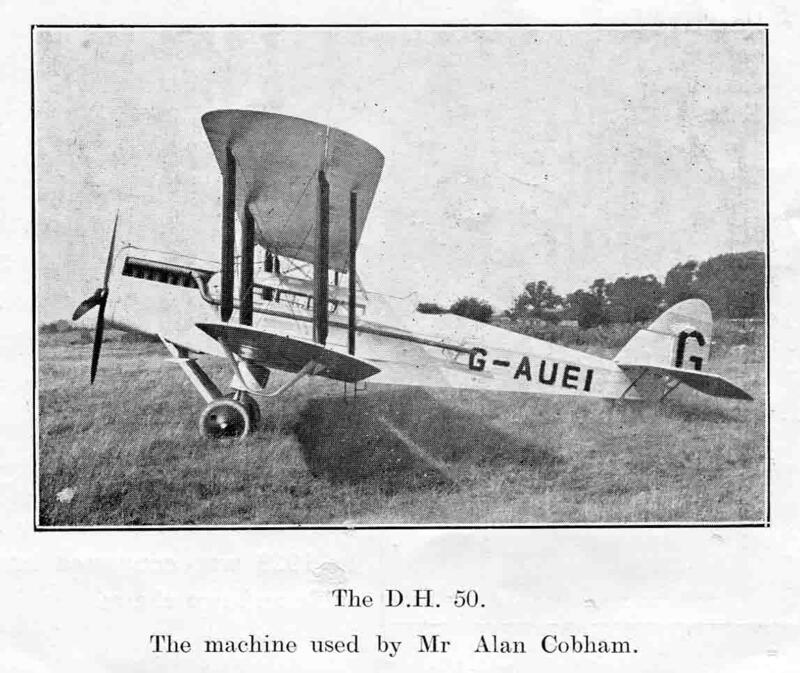 There was a Caterers’ Tent ‘with sitting down accommodation for 2,600’, and a Gala Stall. The Children’s Corner included Roundabouts, Punch & Judy and a sand pit. 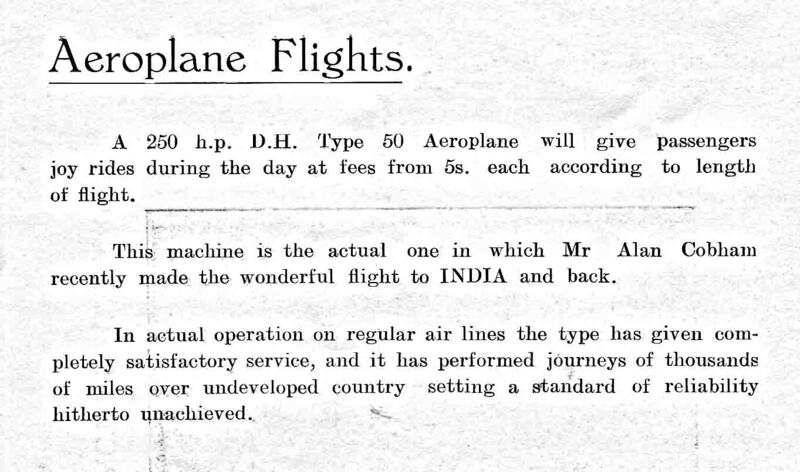 The entertainments described are endless. 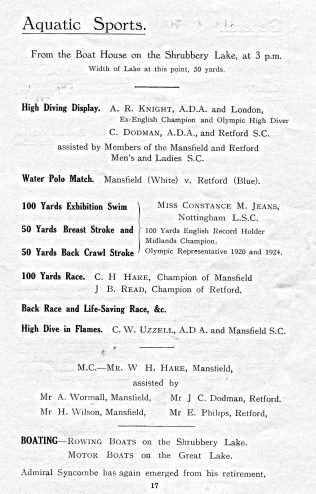 A High Diving Display was assisted by members of the Mansfield and Retford Men’s and Ladies’ SC [Swimming Club]. 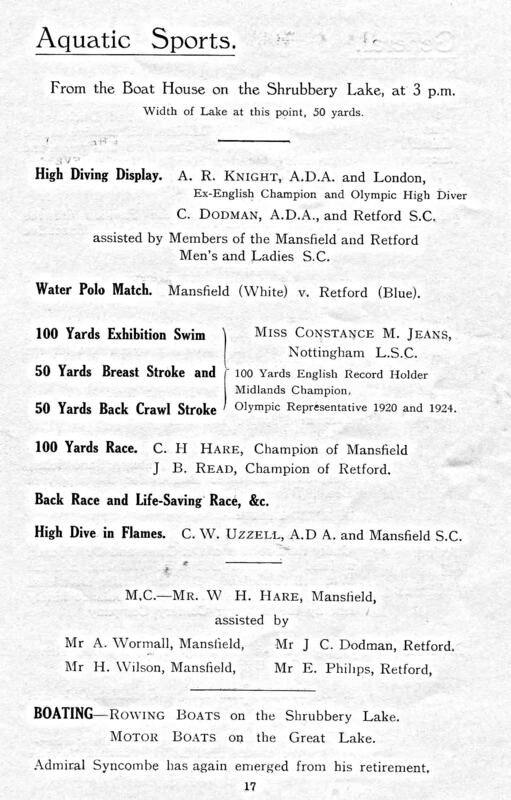 A Water Polo Match was between Mansfield and Retford, and competing in the 100yards race was C.H. Hare of Mansfield. Mr Hare was also the MC for the Aquatic Sports assisted by Mr A Wormall and Mr H Wilson both from Mansfield, also Mr J C Dodman and Mr E Phillips from Retford. 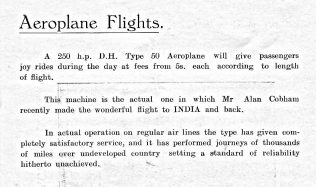 There were parking facilities for those visitors that had motorcars, motorcycles and cycles, for those who did not, special trains and buses were arranged. Messrs Underwood’s Buses ranked at the Sweep’s Lodge from 7.00 onwards and left for Mansfield every 15 minutes. Additionally the times and places were given for other places the buses went to. 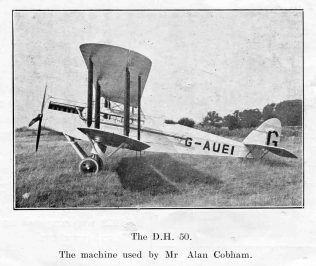 I am sure this was an event that local people talked about for a very long time, and unless memories have been passed down it is something that we will not learn about.